Each patient is monitored to ensure that they are comfortable before and after their procedure. 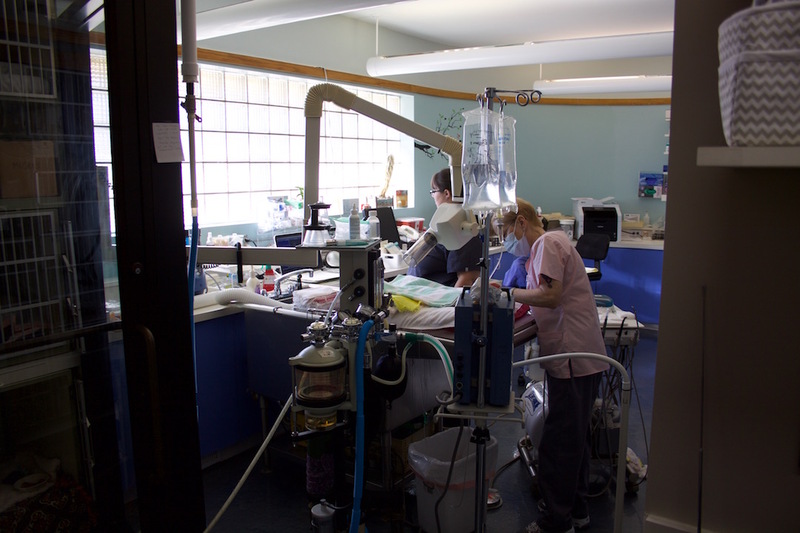 Whether performing a routine surgery or an emergency procedure, you can be confident that the doctors and staff at Just Cats Hospital will work hard to ensure each procedure is thorough, completed with the utmost expertise, and is as stress-free as possible for you and your cat by adhering to the highest level of care standards. If your kitty has just had surgery. Download our Post-op Home Care Guide below. 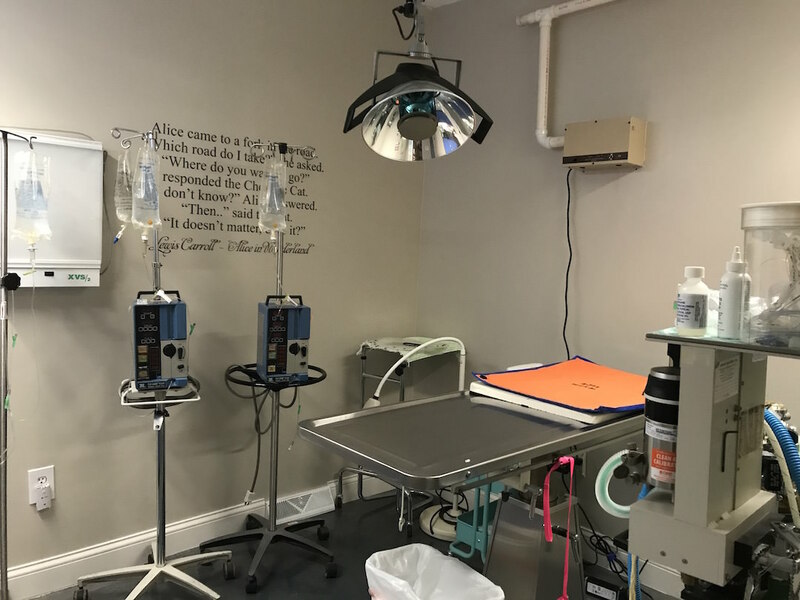 Sterile surgeries such as spays are performed are here. Our staff cares for a patient during a dental procedure.